Case of 100 ESV Outreach New Testaments in paperback. Our case quantity price (75¢ each) is 62% off the list price of $1.99. Note: You must buy 3 cases (300 Testaments) to get this pricing. You can order 1 case here. What the New Testament Is All About. How to Read the New Testament. A basic guide for getting started. 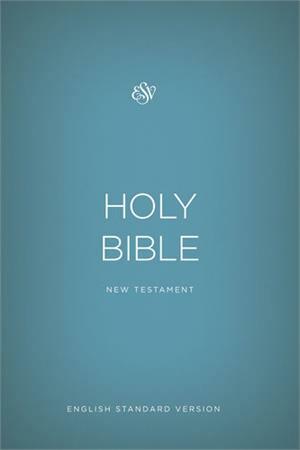 What the New Testament Says About...A guide to key Bible verses and words. Getting Started: A Thirty-Day Plan. A perfect way for newcomers to dig in. Six-Month New Testament Reading Plan. Ideal for readers who want to get serious. God's Plan to Save You. The plan of salvation, clearly outlined from New Testament verses. 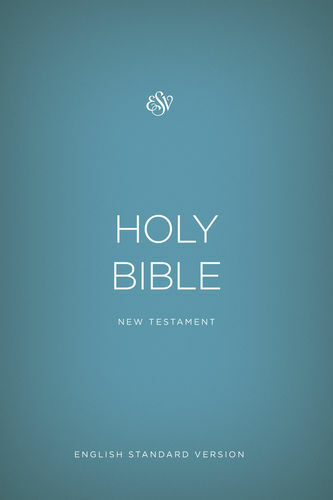 The ESV's accurate, readable, and beautiful text is ideal for all readers who receive it.